Maimi takes part in several photoshoots, introduces Mellowquad’s music video, and enjoys the antics of one of her pet dogs in her July 26th update “Soothed first thing in the morning (*’-‘)“. Full translation below. 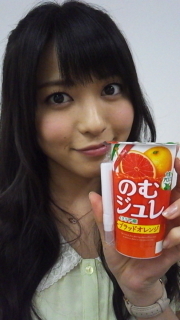 Posted on July 26, 2013, in Blog, Translations and tagged Yajima Maimi. Bookmark the permalink. Leave a comment.